The original Angry Birds title will be getting an update and a new episode very soon. The availability of the new level/episode has not been confirmed but will surely be available soon for iOS, Android, Symbian platforms. 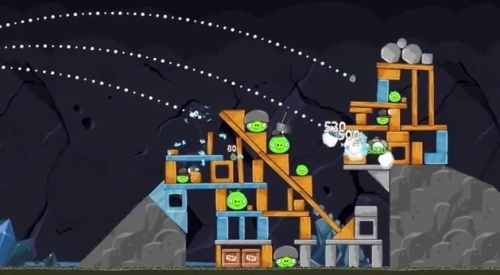 The birds will see themselves fighting against the nasty pigs again, this time in underground mines to retrieve their stolen eggs. So get your birds and slingshots ready to teach those pigs a lesson again.